The Iran nuclear deal will pave the path to Iranian nuclear weapons whether or not Iran keeps its end of the agreement, Israeli Prime Minister Benjamin Netanyahu said. 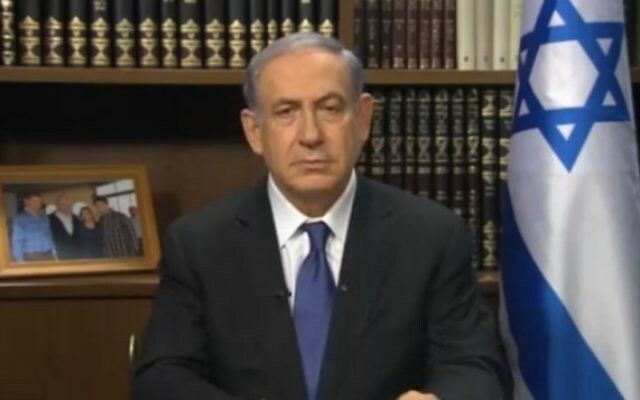 “Iran could get to the bomb by keeping the deal, or Iran could get to the bomb by violating the deal,” Netanyahu said in a 20-minute webcast Tuesday aimed at American Jews and organized by the Jewish Federations of North America. The Israeli leader repeated the same litany of criticisms against the deal that he has been reciting since Iran and six world powers, led by the United States, reached the agreement on July 14, as well as in the months leading up to the announcement: It will leave Iran’s vast nuclear infrastructure in place; Iran’s “breakout time” for a nuclear weapon in 10-15 years, once the deal expires, will be practically zero; the deal will give Iran a massive infusion of cash that it will use to arm its terrorist proxies in the region; and the deal will spark a nuclear arms race in the Middle East. 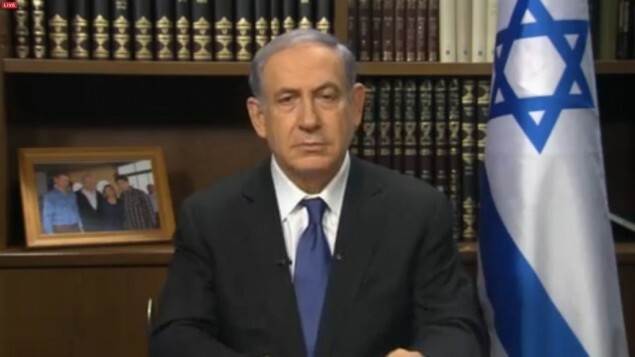 Netanyahu said his opposition to the deal has nothing to do with President Barack Obama. “This policy disagreement has never been personal,” he said, saying he believes Obama genuinely thinks the deal is the best method for blocking Iran’s path to a nuclear weapon. Netanyahu also criticized efforts by opponents to “delegitimize” criticism of the deal, saying it’s nonsense that the only alternative is war. Sanctions and pressure on Iran should be increased, and Iran will come back to the negotiating table and accept a better deal, Netanyahu said. “They need the deal a whole lot more than any of us need a deal,” he said.